The DocumentHost is meant to be the default container for the editable documents in your application. By default it occupies the whole central area of the RadDocking control and each newly added pane is docked as a new tab page inside of it. Here is the XAML declaration of the above structure. 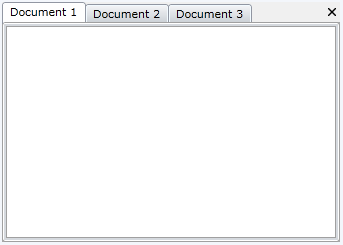 Since the DocumentHost is meant to host the editable documents in your application, it is good idea to use RadDocumentPanes instead of RadPanes. 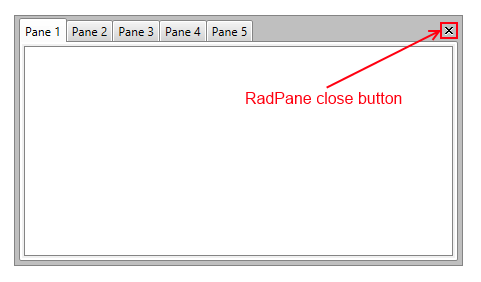 Placing RadPaneGroup directly in the DocumentHost is not a supported scenario in the RadDocking control. The RadPaneGroup needs to be placed in a RadSplitContainer. The DocumentHost is part of the template of the RadDocking control. To learn how to modify it, take a look at the Templating the RadDocking topic. 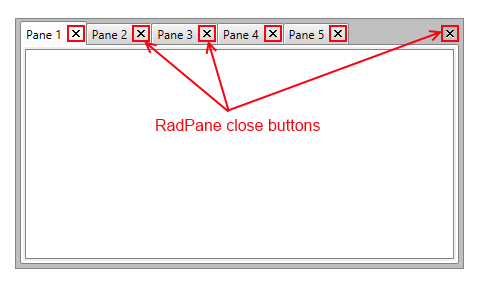 You could easily set the close button position of the Panes that are placed in the DocumentHost by setting the CloseButtonPosition property of the RadDocking control to one of the three built-in predefined settings (InGroup, InPane and InPaneAndGroup). 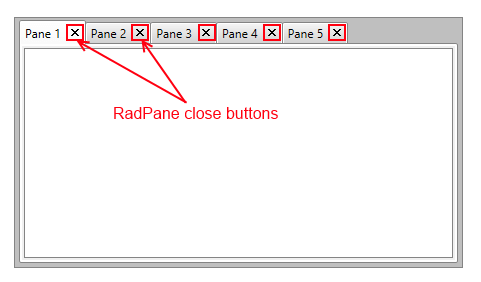 InPaneAndGroup – places separate close button for each Pane in their tab and a close button for the currently active Pane in the PaneGroup in the top right corner of the group. 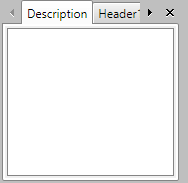 By design the HorizontalScrollBarVisibility property is disabled and can be visualized either by setting it to Visible or Auto (the arrow buttons will become visible when the space is not enough). Collapsed – the drop down will never be shown. Visible – the drop down will always be visible. 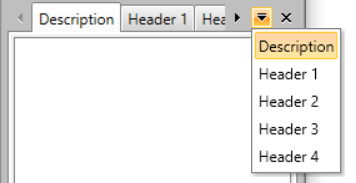 WhenNeeded – the drop down will be shown only when there is not enough space the Tabs to be arranged. Figure 2 demonstrate the appearance of the DocumentHost when both properties are set.